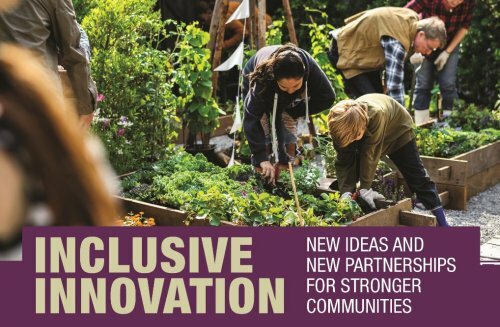 Today, the Honourable Jean-Yves Duclos, Minister of Families, Children and Social Development and the Honourable Patty Hajdu, Minister of Employment, Workforce Development and Labour, announced the release of Inclusive Innovation: New Ideas and New Partnerships for Stronger Communities, the final recommendations from the Social Innovation and Social Finance Strategy Co-Creation Steering Group. The report includes 12 recommendations proposing ways that social innovation—ideas that help communities respond to a challenge more effectively—and social finance—financial investments that create a social or environmental impact—could be incorporated into a comprehensive strategy to build more inclusive and prosperous communities, and in doing so, improve the lives of vulnerable Canadians and create a more inclusive middle class. The Government of Canada has committed to developing a social innovation and social finance strategy to support innovative solutions that find new ways to help communities tackle their most complex and persistent social issues. By breaking down the barriers that prevent Canada’s most vulnerable populations from finding employment and fully participating in their communities, the Government seeks to create a more diverse and inclusive middle class. The Government is currently reviewing the recommendations of the Co-Creation Steering Group which will inform the Government’s final Social Innovation and Social Finance Strategy. Visit sisfs.ca for more information and to encourage your MP to support a strong social innovation and social finance strategy. Only big picture thinking will open the space needed for social innovation. From coast to coast to coast, individuals and organizations across all sectors of society are forming networks of relationships, or ecosystems, where they work together to make their communities more sustainable and inclusive places through social innovation and social finance. We use the term social purpose organizations to refer to the diverse range of organizations engaged in these ecosystems, including charities, non-profit organizations, co-operatives, and private businesses advancing a social or environmental mission. Awareness and mobilization efforts to spur interest and build support for the growth of social innovation and social finance approaches. 2. What are social innovation and social finance?